The Oticon HearingFitness™ app is designed to help people with hearing loss understand how their behavior and hearing health habits can influence how effective their treatment is and the impact it has on their overall health and well-being. The HearingFitness™ app is used in conjunction with Oticon Opn™ hearing aids, the world’s first internet-connected hearing aid and winner of two CES Innovations Awards in 2017 . By encouraging increased hearing aid use, the HearingFitness™ app helps those with hearing loss benefit from the many positive health improvements that come from wearing hearing aids. Wearing Opn™ hearing aids to treat a hearing impairment lets users once again enjoy sound and social interaction, both of which stimulate the brain and ultimately helps reduce the common side effects associated with untreated hearing loss, such as fatigue, withdrawal and stress. Treating hearing loss effectively in mid-life by wearing aids even reduces the risk of early on-set dementia. In a recent study authored by the Lancet commissions on Dementia Prevention, Intervention, and Care , hearing loss was listed as the largest modifiable risk factor contributing to Dementia. At its outdoor inspired Booth, No. 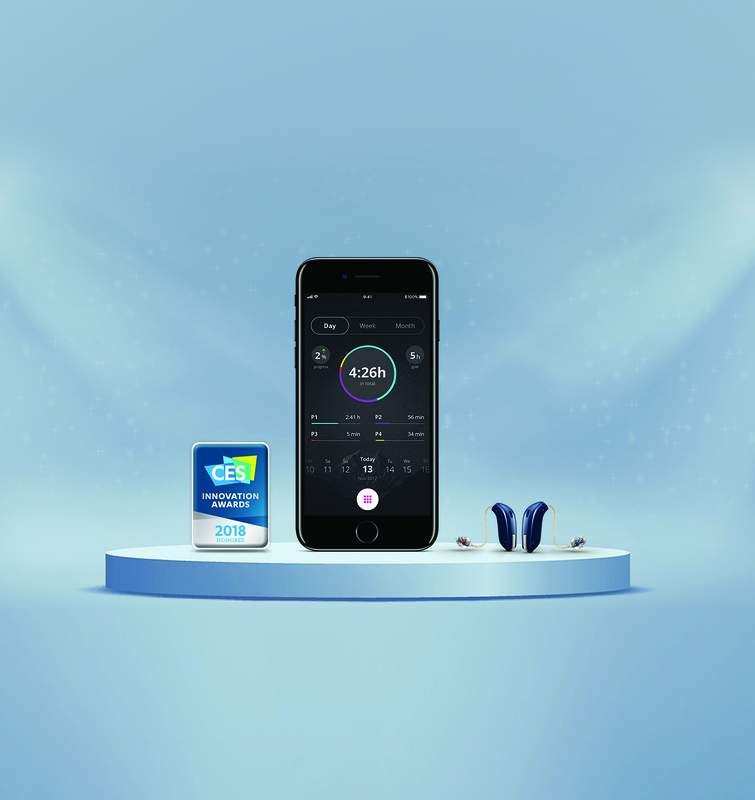 43949 in the Sands Expo at CES, Oticon will offer interactive displays and hands-on demonstrations of Opn’s new HearingFitness™ app. Visitors can also experience Opn™ hearing aids which feature Oticon’s pioneering BrainHearing™ technology to help those with hearing loss tackle everyday noisy situations. While tutorials on the use of the IFTTT network with the world’s first internet-connected hearing aids will demonstrate how to create ‘smart’ IoT recipes for connected-technology.